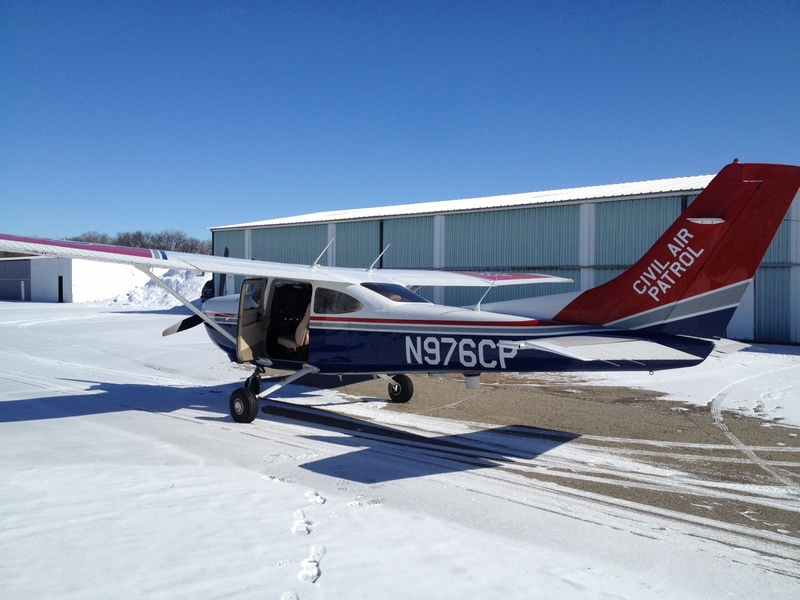 It was a pretty eventful open house at the Oakland County International Airport (KPTK) today. 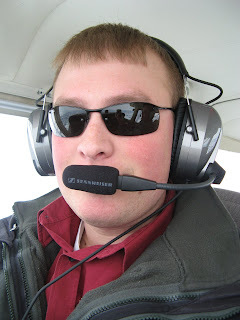 After the motor glider flight, I got up twice in a Schweizer SGS 2-32 glider. The GSG 2-32 is a two- or three-place glider with all-metal semi-monocoque construction and cantilevered wings that span 57 feet. The wing aspect ratio is 18.05 and it boasts a max gross weight of 1,349 pounds and a max glide ratio of 33:1 at 52 mph. This particular aircraft, N99859, was manufactured in 1966 and it’s among 65 registered in North America out of the 87 that were made. The model flew at the Air Force Academy as the TG-5. 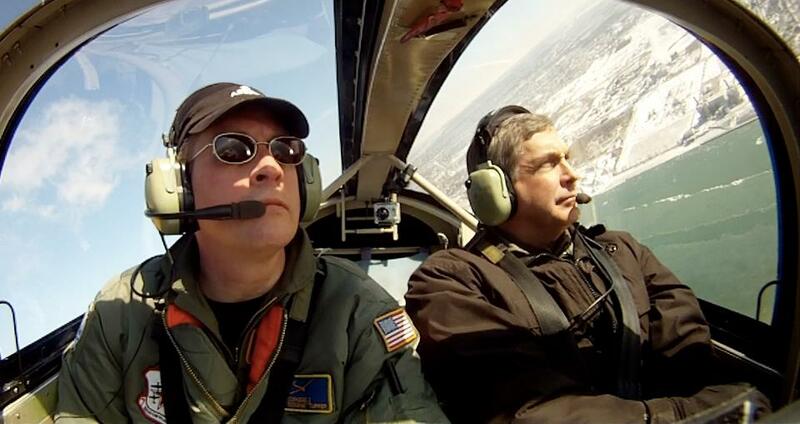 Civil Air Patrol now owns this glider and the Michigan Wing uses it to train both cadets and senior members. 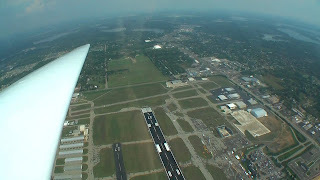 We launched from the big runway at KPTK (27L) with all kinds of traffic on the parallel and in the airspace above us. 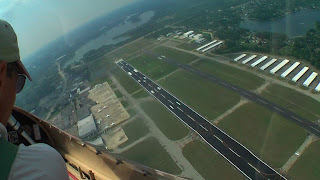 CAPFLIGHT 2029 towed us up to around 3,500 feet and we then circled the airport for about ten minutes before landing back on 27L and running her off at taxiway R.
Here are some frame grabs from the video that I shot on the two rides. Watch for the video episode in the feed sometime soon. 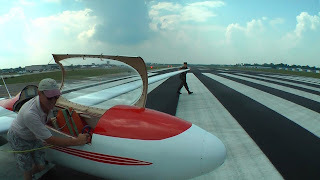 Pushing the glider out onto 27L. Kind of weird to be standing out there on the approach end of the runway when I’m used to seeing it only from a cockpit. 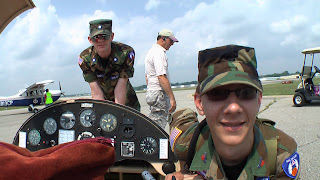 Two of the Oakland Composite Squadron’s finest cadets helping to position the glider for the tow. I’m strapped in and taking stills until Mark gets in. Loading in the rest of our two-man crew. Mark Grant up front. 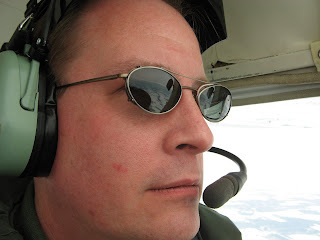 Mark was on the aero-tow from Owosso earlier in the week and flew both these glider sorties as well as the motor glider sortie an hour or so before. Heading up on the tow. Now that’s formation! Enforced formation at that. 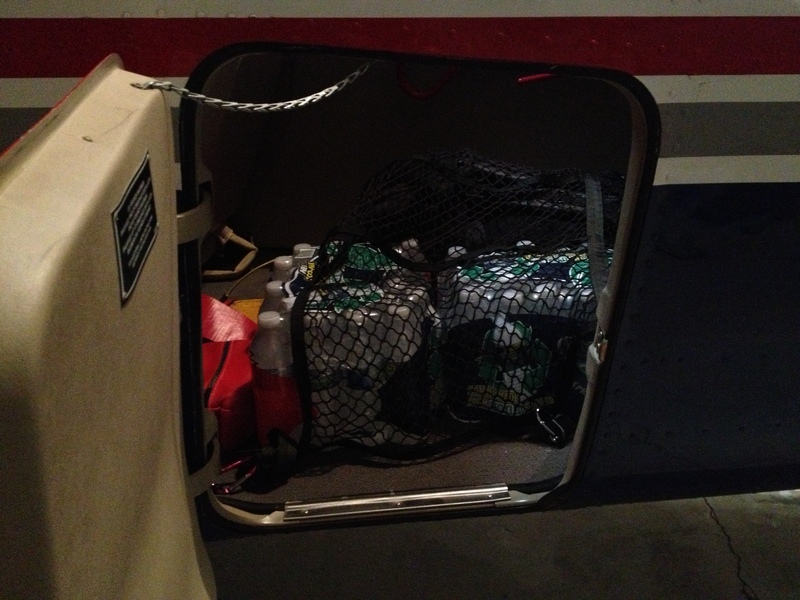 A 200-foot tow rope connects the aircraft. 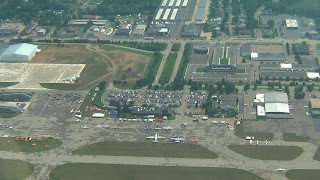 A great view of the open house ramp as we come in over the airport. Westbound over newly-extended and painted 27L with the ramp on the left. 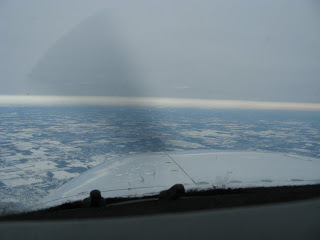 An idea of the wing shape from the back seat. The lens bends it a little, but you can clearly see the aspect ratio of the wing. 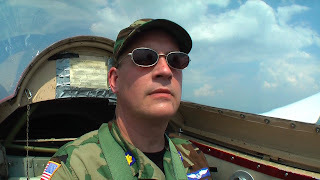 It’s really peaceful up there at 50-55 mph with the wind pretty quiet and the bubble canopy and commanding view. You’re really up there in the air and, during these steady moments just floating around at the minimum sink speed, it would be easy to feel like you were ruler of all you surveyed. Mark briefs the approach as we head in from the north. The turn from base to final. This is one of my favorite shots. 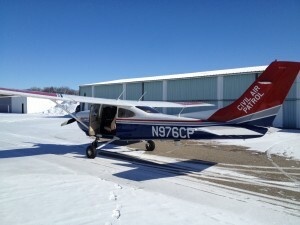 In this aircraft, you feel as though you could reach out and touch the runway. 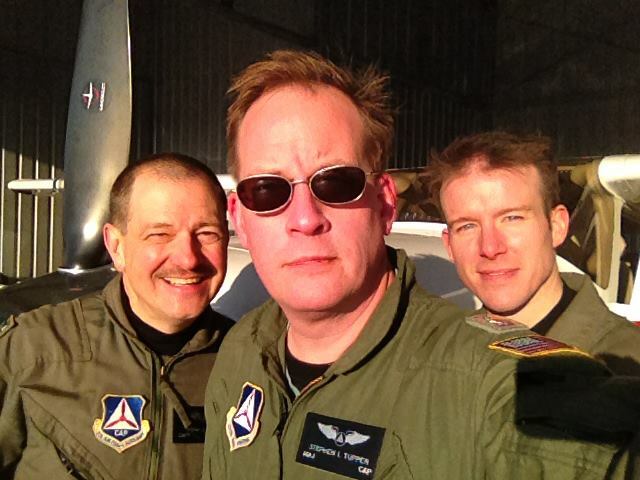 Visibility is excellent and Mark is the obvious master of the aircraft – landing it precisely, hitting the called taxiway, and bringing it in to the ramp to stop exactly where the cadets are waiting to take it back to the static display. Look for the video episode soon. 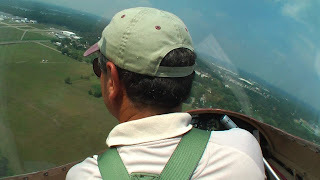 Additionally, you can bet that I’m going to be heading back for more glider training soon.